Mikhail Fyodorovich Vladimirsky (Russian: Михаи́л Фёдорович Влади́мирский; 4 March [O.S. 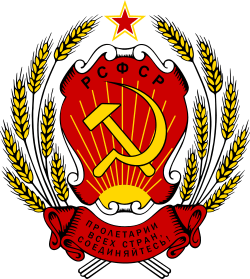 20 February] 1874 – 2 April 1951) was a Soviet politician and for a short period of time, the Chairman of the All-Russian Central Executive Committee. He was in office from March 16, 1919 to March 30, 1919. He was also Deputy of Chairman of Gosplan (the State Committee for Planning) of the USSR in 1926-1927 and People's Commissar of Public Healthcare of the RSFSR in 1930-1934. 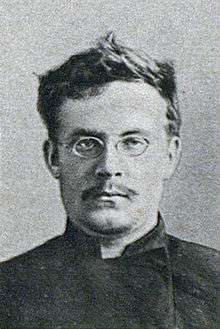 Vladimirsky was the son of a priest.